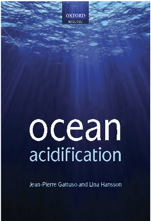 The Global Ocean Acidification Observing Network (GOA-ON) relies on international collaboration to share data and understand the global ecological impacts of ocean acidification (OA). 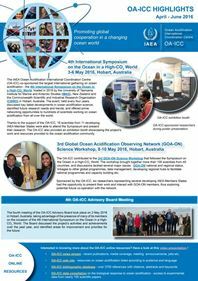 GOA-ON membership extends across disciplines, countries, socioeconomic status, gender and ethnicity. Pier2Peer is a scientific mentorship program that matches senior researchers with early career scientists to facilitate an exchange of expertise and to provide a platform for international collaborations. Matches are assigned using information provided during registration including scientific background, region of scientific focus, and desired skills. Participants are allowed to specify mentors/mentees they want to work with. Moreover, once matches are revealed, participants are encouraged to request an alternate or additional partner and provide additional qualifications to achieve a better match. Match Notification: Participants are notified of their match via email containing the name(s), contact information, and country of their partner. Notification emails also include general guidelines for participants including a request to keep the program organizers copied on future correspondences so that partnership progress can be documented. Building Partnerships: P2P partnerships provide a number of professional development opportunities including technical guidance on experiments and study design, exchange of scientific articles, share information about capacity building workshops, conference, post-doc positions, and much more! Contact Meredith Kurz (meredith.kurz@noaa.gov) if you have any questions / comments about the Pier2Peer program.